This is actually the 3rd layout that I created.. Im still working up the courage to share the 2nd as it contains one seriously crazy selfie of myself lol The page itself turned out pretty cool.. but for now, lets focus on this fun layout! I channelled into my layering side and went a little crazy with the complementing patterns. I stuck to colours that blended well with the photo of Leila scooting through the 'jungle'. 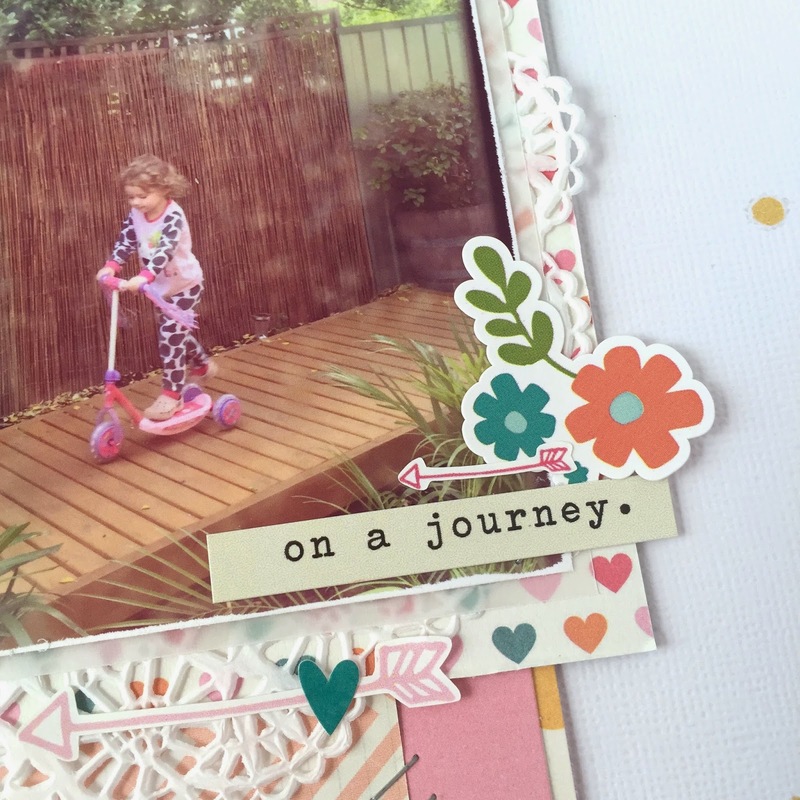 This child absolutely LOVES her scooter, and the bridge across the fernery at Mum and Dads house. Out there every morning since Christmas, provided its not wet! 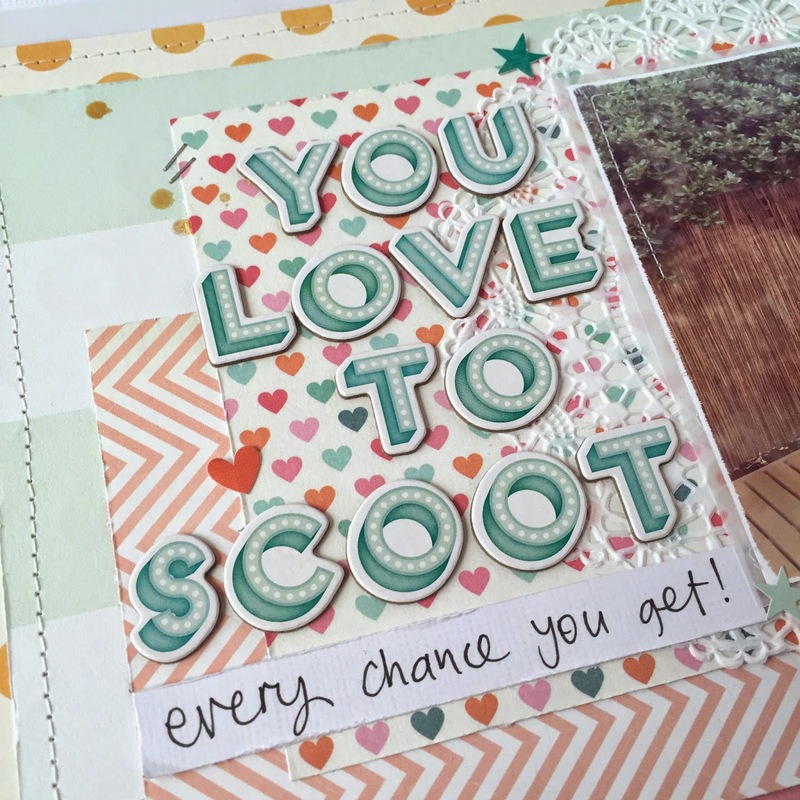 I love the colour of these thickers as they works so well with the colours within the kit.. However Im still not sure about the font, they're certainly taking some time to grow on me..
As Ive layered up quite a few different pattern papers, I tried not to over embellish. The stickers within the kit worked perfect for a final touch along with a few splatters of gold Color Shine.